Pure, 100% Real, Massive 42.50 carats, Brown Aqeeq Yemeni (Zard/Brownish) guards against danger. Wearers become temperate, continent and cautious. Brown Aqeeq Yemeni has got very powerful hidden qualities that can only be experienced once you wear it. The benefit of Brown Aqeeq Yemeni is that it creates joy in the heart, is good for eyesight and it helps illuminate sadness and anger. It is also revered in other religious and has been in use from the time of Adam. It absorbs the rays of the sun and passes these onto the body and is good for health. Brown Aqeeq protects children from envious eyes. It is said that Imam Jaffer as-Sadiq (4th grandson of the prophet Mohammed(PBUH)) has said that a prayer with Aqeeq is 40 times better than one without it. It is also of a great thawab (reward from God) to use tasbeeh of Aqeeq as mentioned in hadith said by Imam Musa e Kazim (5th grandson of the prophet Mohammed(PBUH). Bring the Great Spirit into one’s life. Aid in overcoming flaws, fears, and loneliness. Brown Aqeeq has a calming effect during times of stress and gives a sense of strength and courage. Encourages fertility. Powerful healer. 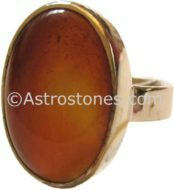 Brown Agate is used for Protection, Courage, Success. 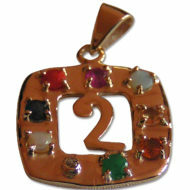 It is worn for courage and success in competitions. It protects new life and therefore it’s excellent stone during pregnancy. The benefit of Brown Aqeeq Yemeni is that it creates joy in the heart, is good for eyesight and it helps illuminate sadness and anger. It is also revered in other religious and has been in use from the time of Hazrat Adam ( a.s.). Millions of Muslims wear it Worldwide for Good Luck, Love, & PEACE.